Last week, we told you that a jury ruled that Apple had infringed on a patent owned by the University of Wisconsin-Madison. Apple apparently failed to obtain a license before including this patented technology with its A7, A8 and A8X chipsets. These were employed by Apple inside the Apple iPhone 5s (A7), Apple iPhone 6 and Apple iPhone 6 Plus (A8), Apple iPad mini 4 (A8) and Apple iPad Air 2 (A8X). Yesterday, the jury deliberated for three and half hours before deciding that Apple has to pay the Wisconsin Alumni Research Foundation (WARF) $234 million for using a "predictor circuit" on the chips. The technology was patented in 1988, after being developed by computer science professor Gurindar Sohi and three of his students. Apple claimed that at most, it should pay the school 7 cents for each unit shipped with the part. WARF was seeking $2.74 a unit, or $400 million. The jury also decided that iPhones and iPads sold outside of the U.S. had violated the patent. The damage could have been worse for Apple. Had Judge William Conley not ruled that Apple's infringement was not done willfully, the $234 million could have been tripled. But this nightmare isn't over yet for Apple. Last month, WARF filed a similar suit covering the new A9 and A9X chipsets. The former powers the Apple iPhone 6s and Apple iPhone 6s Plus, while the latter drives the Apple iPad Pro. Apple says that it will appeal the verdict. I guess Apple didn't pay enough to bribe the judge. Plot twist: Judge uses an Android...notably a Samsung? About time, when you get to taste your own medicine. Agreed. If Apple was smart, they'd pay up and double it as an investment into the University. It's not like they're short of coin, and willfully making a donation to the university would be seen as praise, good will and an apology - rather than appealing the decision which could have been worse and up to $864M in damages.. Apple you bunch of knts.. These judges put billion dollar plenty in apple vs Samsung cases on small things like rubber band effect. But now, when apple has stolen real technology then they are putting peanuts penalty. Plz you smelly judges and jurry, put at least 1 billion dollars, bcoz the money will be used for education and research. Take more from fat stomach apple. By the way, technology was patented in 1988. USPTO system is really stupid and crazy. The patent must be expired by 1995. What this patent is doing nearly after thirty years? Patent is active forever? If so, then no wonder why US has so many fat stomach bas**rds and normal ppl are wearing out paying taxes. Patents stay in effect until 70 years after the creators death. You don't like American's do you? I like Americans and that's why I mention normal ppl are just paying their taxes. They are honestly paying and some big fat money hoggers are filling their stomachs with the help of corrupt law they have made, which help richer to get even more richer but doesn't help much for normal ppl. You don't understand which americans.. you mortals or just normal ppl you are harmless hurtless.. but those americans who are.your leaders are very cheeky..
Everybody doing acoording theirs likes.. ppl love money unfortunately.. monies are stronger than human.. human is poor being means nothing.. human failed in this world in every aspect! What drives human to love money? It's jealousy/envy.. They did paid enough to lower the damages fee from $862 million to $234. You are wrong. 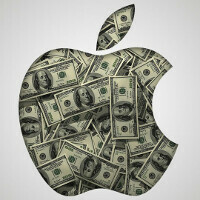 Everyone makes money with iOS. University of Madison has given a medicine to apple. Would you like to have some biscuit crackers to go with it? Just as long as Apple didn't pay for it, they need their money after this. This can't help my basket of Apple shares (including a more generous dividend hike). Anyway, there should be a class-action suit against just about all universities for charging ~$10K for classes (largely on one or another form of political correctness) that don't help with real world production / services--ESPECIALLY the larger universities who make fortunes on their athletic programs. Sorry to get a little off-topic. However, it was PhoneArena who posted the article. Then we should also sue Apple for selling iPhones for $800+ when they cost less than $200 with 3 years old technology, not to mention that innovative iPencil.